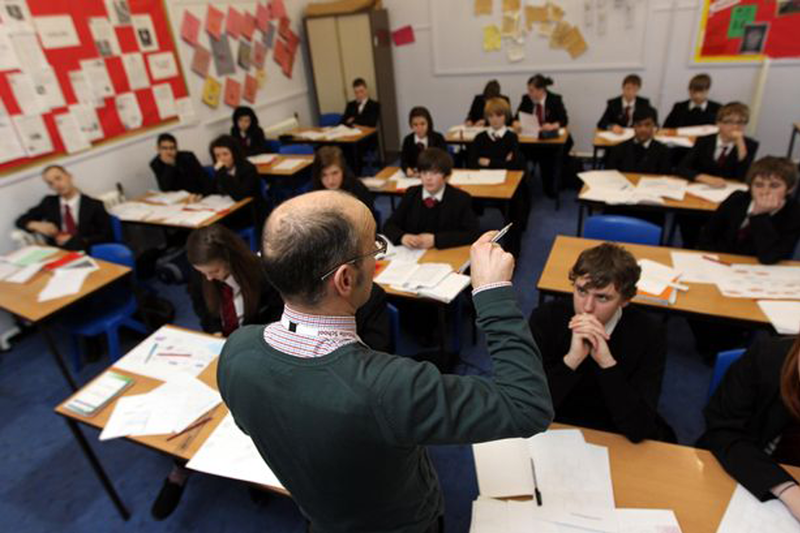 Children across the Midlands who speak English as a second language are outperforming native British speakers at GCSE, new figures have revealed. Statistics released by the Department for Education show that in the last academic year, 64.3 per cent of children in Birmingham who speak English as a first language got five GCSE passes at A* to C - while 64.8 per cent of children who speak English as a second language managed the same achievement. And the gap is far greater in other parts of the region - with pupils who have English as an additional language outstripping the performance of native speakers. In Wolverhampton, 56.6 per cent of native English speakers met the GCSE benchmark, compared to 64.6 per cent of non-native speakers. In Walsall, 58.4 per cent of English speakers achieved five GCSEs grades A* to C, while almost five per cent more (63.1 per cent) of those with English as a second language achieved the grades. In Dudley, 68 per cent of children with English as a second language achieved the benchmark, compared to 62.2 per cent of native speakers. And in Sandwell, 58.3 of children who speak English as their first language managed to get the GCSE standard expected by the Government - while 62.5 who do not have English as their first language managed to do the same. A Department for Education spokesman said the government had allocated over £243 million to schools across England and Wales last year to specifically help pupils who have English as an additional language. "Pupils learning English as an additional language share many common characteristics with pupils whose first language is English," he added. "However, their learning experience differs because they are learning in and through another language, and because they may come from cultural backgrounds and communities that have different understandings and expectations of education, language and learning." It comes as new research by Oxford university has revealed that children with English as an additional language usually catch up with their peers by the time they are 16. The report's authors, Professor Steve Strand and Professor Victoria Murphy, found that nationally at the age of five only 44 per cent of pupils who do not speak English as their first language have achieved a good level of development, compared to 54 per cent of other pupils. However, by the age of 16, this gap has narrowed significantly with 58.3 per cent achieving five A*- C GCSEs including English and maths, compared to 60.9 per cent of other pupils. The researchers said that part of the reason they were doing so well was because many come from bilingual homes. Prof Strand said: "The report highlights that the English as an additional language classification currently gives no indication of a pupil's proficiency in the English language; so, crucially, the bilingual child of a French banker is grouped together with a Somali refugee who may not speak English at all. "We drilled down the attainment figures for different groups of pupils and found speakers of Portuguese, Somali, Lingala and Lithuanian have especially low outcomes at age 16, but Russian and Spanish speakers do particularly well. "This research shows how important EAL funding is for driving up attainment levels of those most at risk of underachievement and it shows that local authorities need to continue prioritising this form of funding and schools should carefully target the pupils who will benefit most."